The highly hyped Pebble e-watch, which raised a record-setting $10 million on crowdfunding site Kickstarter last year, will finally start shipping January 23. Pebble CEO and founder Eric Migicovsky revealed the news Wednesday at the Consumer Electronics Show in Las Vegas, during a press conference that was webcast to eager Kickstarter backers. About 69,000 people backed the Kickstarter project, and Migicovsky found himself committed to shipping 85,000 Pebbles. Supply and production issues popped up immediately. In July 2012, two months after the campaign ended, Migicovsky told backers they wouldn't be receiving their Pebbles in September as planned. Nearly four months later, Pebble is ready for launch. The first batch of watches will begin shipping to Kickstarter backers on January 23, and Migicovsky said "tens of thousands" of people have signed up for additional pre-orders on Pebble's website. 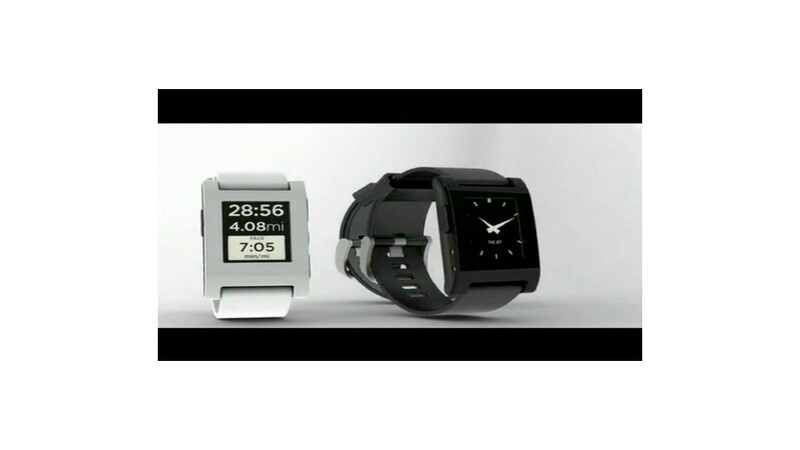 Unlike some Kickstarter projects, the final Pebble product looks a lot like the original plans. Its e-paper display is readable outdoors, and the battery lasts seven days. An interchangeable strap houses the polycarbonate watch face, which weighs about 1.3 ounces. "We designed this, at its base, to be a sports and fitness watch," Migicovsky said Wednesday. "It's very light on the wrist, which was important to us." Those who sweat profusely need not worry: Pebble is water resistant to five atmospheres. Cute features include a shake or tap of the wrist to activate a backlight, and multiple options for displaying time: a clock image, a "fuzzy time" setting for readings like "twenty to one," a sliding text option, and even a binary option. Pebble wants developers to begin creating apps for its platform, which is compatible with Android 2.3.3 and higher, and with Apple's iOS 5 and higher. The company plans to release over-the-air software updates every two to three weeks, Migicovsky said. "Our goal was to make it awesome from day one, and then improve with updates," he said. "We're excited to see how it evolves." But don't look for Pebble in any retail outlets. "It would be great to see Pebble in stores, but we haven't made any kind of deals yet," Migicovsky said.